Snow melt and spring rains send streams and tributaries flowing into Elk River. 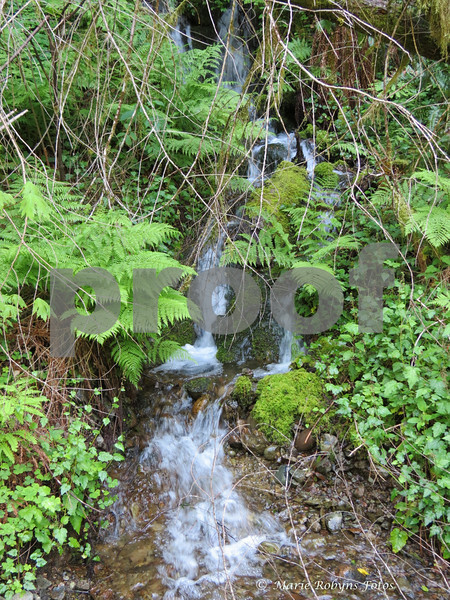 In Springtime melting snow and spring rain create delightful tributaries running down through forest and fern and moss into Elk River. Running through narrow chasms of rock, Elk River is located on the Southern Oregon Coast off of coastal Highway 101, six miles north or Port Orford, Oregon. Photograph taken May 5 about 3 pm.